The theme for this year is ‘It’s on for the young and old’ and aims to bring together people of all ages. Source: Matthew Wotherspoon. 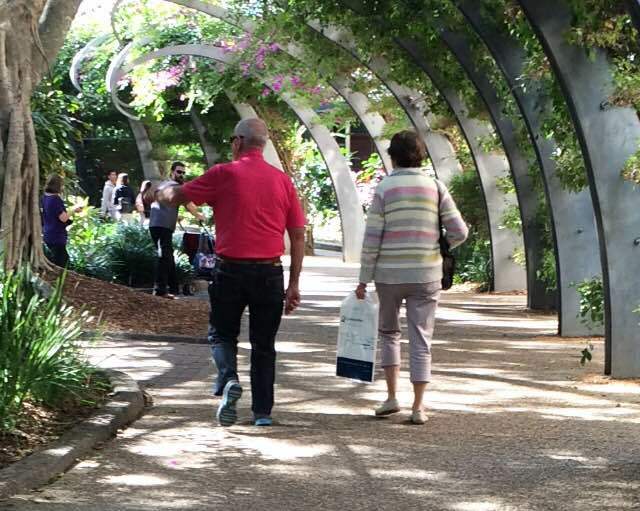 Chief Executive of the Council on the Ageing Queensland (COTAQ) Mark Tucker-Evans said Queensland Seniors Week operates to assist in social isolation often experienced by elderly people. Coordinated by COTA, Queensland Seniors Week aims to improve community attitudes toward the elderly and enhance relations between the older and younger generations. Mr Tucker-Evans said Seniors Week is important in seniors maintaining relationships and highlighting the importance of seniors in society. “Thanks to the tremendous efforts of many groups and countless volunteers, Seniors Week is now a major event,” Mr Tucker-Evans said. Older People Speak Out (OSPO) Founding President Val French says Seniors Week is a great cause as it helps to connect the elderly with the wider community. “One of the biggest problems seniors face is loneliness in retirement villages ,” she said. Queensland Seniors Week runs from Saturday August 13 through to Sunday August 21 and includes a variety of celebrations right across the state.